^ Harold Comber, 1949. 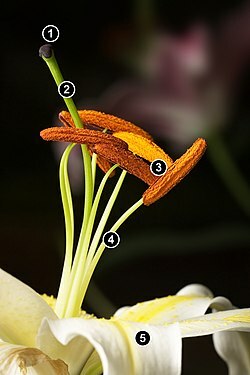 "A new classification of the genus Lilium." 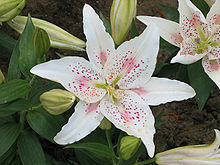 Lily Yearbook, Royal Hortic. Soc., London. 15:86-105. ^ Acute renal failure caused by lily ingestion in si...[J Am Vet Med Assoc. 2002] - PubMed Result. [2008-06-22]. ^ Hall J: Nephrotoxicity of Easter Lily (Lilium longiflorum) when ingested by the cat, Proc Annu Meet Am Vet Int Med 6:121, 1992. ^ Volmer P: Easter lily toxicosis in cats, Vet Med 331, April 1999.